A program to create brick paper and brick arches. 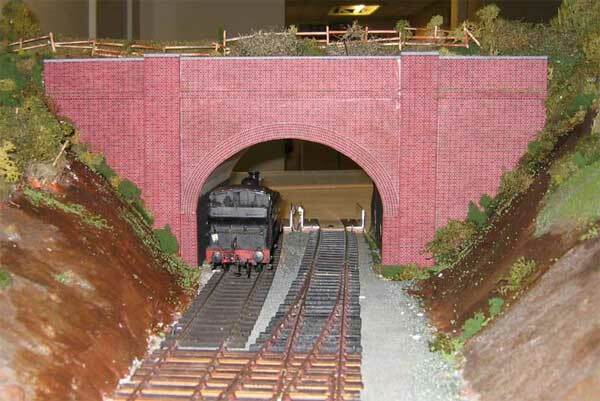 This program was written to create the brick paper and arch for the new tunnel for Farnborough Road. Ground disc article in pdf. 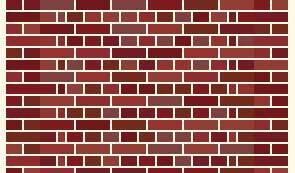 It should be fairly easy to use the program, except for creating new brick patterns. 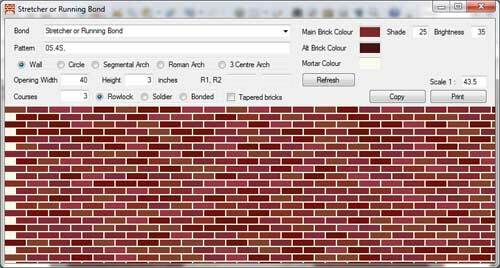 Clicking on one of the colour boxes allows a different colour to be selected for bricks or mortar. The copy button copies the pattern to the clipboard so it can be imported into a photo editing program. All the drawing in the program is done at 48 pixels per foot. Conversion to 7mm scale means the drawing needs to be printed at 174 dpi (48 / 7 x 25.4), and conversion to 4mm scale would need to be printed at 305 dpi. The pattern for each course of bricks is separated by a ','. This pattern has 4 courses which are repeated. Each brick or part brick uses 1 character, and the first character for each course is only used at the start of the course. So 0S means a course of all stretchers starting 0/8th of a brick from the left, and 2H is a course of all headers starting 2/8th of a brck from the left. R shiner. Bricks on edge to make 4.5" row height as in Rat trap bond. r rowlock. Bricks on edge to make 4.5" row height as in Rat trap bond. Download the zipped Windows executable file. Download all the zipped C# source project files.